Foreign Policy.com on Savoie Case: US Govt advised father Chris to get children to Fukuoka Consulate! Plus lots more media. Posted on October 14, 2009 October 14, 2009 by Debito Arudou Ph.D. If true, this exposes a deeper grain of irresponsibility within the USG — advising its citizens one thing, and then washing their hands of it when they do precisely that. TOKYO, Japan (CNN) October 13, 2009 — An American father jailed in Tokyo has been harshly treated, his attorney said Monday, while Japanese authorities said he is getting “special” treatment. Attorney Jeremy Morley, in a statement released Monday, said Christopher Savoie — accused of trying to kidnap his children after his ex-wife took them to Japan — is being held without trial, interrogated without an attorney present and denied needed medical treatment for high blood pressure. Actually, it’s pretty much Standard Operating Procedure for Japanese police interrogations (which would be tantamount to torture in many societies; the UN has criticized Japan precisely for this, see here and here), especially when the police have a suspect who needs medicine they can withhold (see the Valentine Case here). And according to the Associated Press, Savoie has just gotten his second round of ten days’ interrogation for the full 23. The difference is that unlike the Japanese press (which has a very fickle cycle of news, particularly in regards to human rights), the longer the police hold him, the more the foreign press is going to zero in on his plight and explore how nasty and unaccountable the Japanese incarceration and interrogation system is. Good for exposure, bad for Christopher Savoie. He’s apparently considering a hunger strike, according to Nashville TN’s Newschannel 5. …Spencer has severe cerebral palsy and requires constant, 24-hour medical care. In Japan, a country that lacks sufficient medical services for disabled children, the only person to care for Spencer is his father. Morrey says his wife left, overwhelmed by the strain of their son’s medical condition. Morrey, a native of Chicago and a U.S. citizen, was married to a Japanese woman with Brazilian citizenship. They divorced in a Japanese court. This is a much cleaner case, except that somebody could argue that this divorce between an American and a Brazilian of Japanese descent is not a matter concerning Japan and the Hague Treaty. Even then, the Morrey Case is grinding along in Japan’s Family Court and bankrupting him with the legal limbo. While most recent news and commentary about Japan has understandably been focused on that country’s dramatic election results, the U.S. government has been quietly working on a parental-custody case that has become an irritant in the budding relationship between the new Japanese and American administrations. State Department officials in Japan met yesterday with Christopher Savoie, an American citizen whose recent attempt to reassert custody of his children landed him in a Japanese prison under investigation for kidnapping. The prospects are not good for Savoie. Local prosecutors in Fukuoka, the western Japanese prefecture where Savoie is being held, are nearing a deadline to decide what charges to bring against the Tennessee native, who traveled to Japan to take back the children his Japanese ex-wife Norikoabsconded with in August. He faces deportation at best, five years in a claustrophobic Japanese prison at worst, and the chances that the Japanese legal system will ever grant him rights to see, much less be a parent to, his 8-year-old son Isaac and 6-year-old daughter Rebecca are slim to none. State Department officials have been intimately involved in the Savoie case, even before Savoie traveled to Japan, but their ability to sway local Japanese officials is negligible. They point to Japan’s cultural and legal aversion to cooperating at all on international child-abduction cases, while expressing very cautious hope that the new Japanese government might relax that country’s famously intransigent stance on such issues. In interviews with The Cable, three State Department officials detailed the extensive set of interactions between the U.S. government and Savoie and the ongoing efforts to advocate for him and the dozens of other Americans fighting custody battles in Japan. Savoie’s communication and coordination with State began shortly after Noriko left for Japan with the children on Aug. 13, never to return. A longtime former resident of Japan, he knew what he what was up against and tried to plan a trip to Japan and then return to the United States with the children. 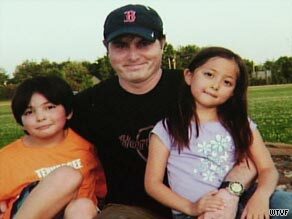 Even before Savoie traveled to Japan, he contacted the State Department’s Office for Citizen Services to ask for advice on how to get his children out of Japan. 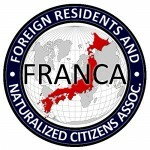 State Department officials advised Savoie that because a U.S. court had awarded him sole custody on Aug. 17, he could apply for new passports for the children if he could get them to the Fukuoka consulate. On Sept. 28, Savoie drove alongside his ex-wife and children while they were walking to school, forced the children into his car, and headed for the consulate. By the time he got there, his wife had alerted the local police, who arrested him on the spot and placed him under investigation for “kidnapping minors by force,” according to the officials. U.S. consular officials met with Savoie the next day, gave him legal advice, and passed some messages back to his family in the States. Since then, State Department officials have brought up the Savoie case “at the highest levels” of their interactions with Japanese officials, including between the embassy in Tokyo and the Japanese Ministry of Foreign Affairs, officials said, but to no avail. In addition to working with Savoie’s Japanese and American lawyers, consular officials also approached Savoie’s ex-wife after yesterday’s meeting and asked for permission to visit the children to check on their welfare. She declined. The embassy plans to ask the Tokyo government to compel her to make the children available, officials said. Multiple units within the State Department have some activity ongoing in the Savoie case, including the Office of Children’s Issues, the section of the Office of Citizen’s Services that overseas Asia cases, the U.S. Embassy in Tokyo, the consulate in Fukuoka, and even the East Asian and Pacific Bureau in Washington. But since Japan is not a signatory to the Hague Convention on Civil Aspects of International Child Abduction, which would have given jurisdiction to the American court system, there is little the U.S. government can do. “Japan stands alone as the only G-7 country that is not a signatory to the convention,” said one official, adding that even if the country had signed it, local laws in Japan would still have to be altered to allow implementation. There are 82 outstanding child abduction cases in Japan, and U.S. officials are constantly trying to press the Japanese to change their approach. “Every time there is a meeting the issues get raised,” one official said. But the State Department has said it is not aware of any case where the Japanese courts have returned a child abducted to Japan to the United States. And besides, Japanese cultural and legal norms often result in custody being assigned to one parent only, usually the mother. But State Department officials point to an interview new Japanese Prime Minister Yukio Hatoyama gave in July, where he said he supports signing the convention and giving fathers visitation rights. “That issue affects not just foreign national fathers, but Japanese fathers as well. I believe in this change,” Hatoyama said. Back in Washington, New Jersey Congressman Chris Smith has called onHatoyama to follow through with this promise. Supporters of Savoy staged asmall protest at the Japanese Embassy in Washington on Monday. The view from Foggy Bottom is one of very guarded optimism. Savoie has also been exposed to sleep deprivation, and denied private meetings with attorneys and phone calls to his wife, according to Morley, who said the way his client has been treated amounts to “torture.” He acknowledged that some of the claims are based on second-hand information from Savoie’s wife, Amy, saying she has communicated with people familiar with her husband’s case. Japanese officials could not immediately be reached for comment. Savoie, 38, a Tennessee native and naturalized Japanese citizen, allegedly abducted his two children — 8-year-old Isaac and 6-year-old Rebecca — as his ex-wife walked them to school on September 28 in a rural town in southern Japan. Complicating the matter further is the fact that the couple is still considered married in Japan because they never divorced there, police said Wednesday. And, Japanese authorities say, the children are Japanese and have Japanese passports. OKAZAKI, Japan (CNN) — At Spencer Morrey’s home, there are two constant sounds: His dad, Craig, murmuring, “You’re okay, Spence. You’re okay, buddy,” and the sound of a machine clearing the toddler’s airway. That would be pain beyond what most parents could imagine. But Spencer’s mother fled while pregnant with Morrey’s daughter, Amelia. In more than a year, Morrey says he has only seen his daughter four times. Morrey has stayed in Japan the last year, trying to get the courts to recognize that he has joint custody of the children in Brazil (he has not yet applied for such custody under U.S. law). Despite his pleading with court mediators and repeated court filings claiming that joint custody is the law in both the U.S. and Brazil, Japan’s slow and antiquated family courts have let the case languish. “Kids need both parents,” Morrey said. “Whether the parents are married or not is irrelevant in my mind. The Japanese courts, and I realize you’re going against years and years of cultural differences and everything else, but they don’t care about the welfare of the child. CNN contacted Morrey’s ex-wife four times by telephone and once by fax. She declined to discuss the case. The International Association for Parent and Child Reunion believes there are an estimated 100 American families in situations like Morrey’s in Japan and dozens involving those from Britain, France and Canada. Savoie, 38, a Tennessee native and naturalized Japanese citizen, was arrested on September 28 in Yanagawa, Japan, for attempting to abduct his two children, eight-year-old Isaac and six-year-old Rebecca. TOKYO — Japanese police said Friday that they are keeping an American man in custody for 10 more days before authorities decide whether to press charges against him for snatching his children from his ex-wife. Christopher Savoie, of Franklin, Tenn., was arrested Sept. 28 after allegedly grabbing his two children, ages 8 and 6, from his Japanese ex-wife as they walked to school. He will remain held in city of Yanagawa where he was arrested, on the southern island of Kyushu, police official Kiyonori Tanaka said. Savoie’s Japanese lawyer, Tadashi Yoshino, was not immediately available for comment. Amy Savoie, who remains in Tennessee, said she considers the extra jail time to be a delay tactic on the part of Japanese authorities. The case is among a growing number of international custody disputes in Japan, which allows only one parent to be a custodian — almost always the mother. That leaves many divorced fathers without access to their children until they are grown up. That stance has begun to raise concern abroad, following a recent spate of incidents involving Japanese mothers bringing their children back to their native land and refusing to let their foreign ex-husbands visit them. The United States, Canada, Britain and France have urged Japan to sign the 1980 Hague Convention on International Child Abduction. The convention, signed by 80 countries, seeks to ensure that custody decisions are made by the appropriate courts and that the rights of access of both parents are protected. Tokyo has argued that signing the convention may not protect Japanese women and their children from abusive foreign husbands, but this week Foreign Minister Katsuya Okada said officials were reviewing the matter. Tanaka said that Savoie’s Japanese ex-wife, Noriko Savoie, is staying with her Japanese parents in Yanagawa with the children, but they have refused to talk to the media. The family lived in Japan beginning in 2001 and moved to the U.S. in 2008. The couple was divorced in Tennessee in January 2009. In August, Noriko secretly brought the children to Japan. Savoie could face up to five years in prison if convicted of the crime of kidnapping minors. Tanaka said Savoie has told investigators that he was aware what he did was in violation to Japanese law. Amy Savoie said she’s only been able to communicate with her husband through letters and U.S. consular officials, but that she has resisted the urge to go to Japan. Associated Press Writer Erik Schelzig contributed to this report from Nashville, Tenn.
Pingback:American Dad in Japan Jail Backwash « Hoofin to You! A point hasn’t been made clear in any of the articles I’ve seen, but is it safe to assume that the consulate door guards are Japanese? Or actual Japanese police? It’s not a case of a US Marine Embassy Guard standing in Savoie’s way while he pleads to enter the consulate, but of Japanese guards loyal to Japan denying him passage onto “US soil” because either they are following inflexible rules, or just naturally assume a white gaijin tugging along Japanese-looking-ish kids can’t be trusted? Time to replace the guards in all US consulates, I think. A small but strong gesture. — I’ve said this before in this space, but I know for a fact that if you’re trying to get into the US Consulate Sapporo, the first people you’ll be dealing with will be Japanese police (with batons and/or riot shields courtesy of the NPA depending on the state of alert). There is no American Marine etc. standing guard there. Never has been. I strongly doubt Fukuoka is much different. The first article points out my biggest problem with the whole thing, you had a US Citizen(s) trying to get into a US consulate who was not allowed in. If they advised him to go there I hope he has the name of whomever he spoke with – although most likely it wasn’t phrased as “my ex-wife took my kids to Japan, I’m going to grab my kids and make a break for it” it was more likely phrased as I’m having a custody dispute and my ex-wife won’t sign the paperwork for new passports, I have sole custody how do I get the kid’s US Passports so we can leave Japan”. But what I am still waiting for is information on why they refused to let him in. That seems like a cut and dry problem – if he was wanted for a “crime” then they could turn him over to the Japanese authorities, but as a US Citizen he should have been allowed in rather than stopped at the gate. — We don’t know. And the consulate ain’t talkin’. Same thing at the U.S. embassy in Tokyo. You have to pass through a separate guard station manned exclusively by Japanese before you even get to walk to the embassy building. Since I live in Fukuoka, I can assure you that there are NO American police/military guards overseeing the Embassy. 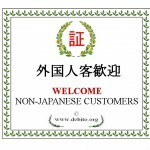 When I go there, I always see from the entrance to even “most” of the staff are Japanese. 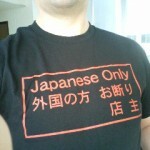 Funny, but in Los Angeles, if you go to the Japanese Embassy, you will not see any NJ working there. for this case and if nothing changes in the nearest future, these kind of scenarios will play out again and again. Seems like this time there is overwhelming pressure on Japan to update their laws and to hopefully and ultimately sign the Hauge Convention on International Child Abduction. From my own experience as a child of divorced parents, divorce and being abducted can leave irreparable scars. Adults will be will always do what they see fit for their lives or circumstances. We need to worry and put more emphasis on the children and how they feel. They are humans too and their hearts as well as their feelings always need to be taken into consideration. At the Canadian Embassy in Manila, there are only Filipino guards. At the Canadian embassy in Cambodia, there are only Cambodian guards. Most embassies around the world do not employ native citizens as security guards out front. This is common practice around the globe, especially for bigger embassies. It shouldn’t come as a surprise to anyone that they should find Japanese police providing security around embassies, consulates, and homes of consular officials. By tradition, it is always the local country that is responsible for security at such installations. Inside the grounds, however, security is the domain of the individual home country. This is the same the world over. Embassies should not be treated like a home-free place for nationals to run (movies don’t count) when they have broken a local law no matter how we may choose to view said laws. Individuals are governed by the law of the land they are in and it sets a bad precedent were people to be encouraged to flee in order to expect a more beneficial outcome or a perceived safety from local prosecution — with certain exceptions notwithstanding. An embassy is not there to play arbiter of civil law. The more I read of this Savoie case, the more sympathetic I am to the wife’s case. As details keep coming out, it becomes more evident to me that the American judge may have erred in his original judgement that the children should be forced to remain in America — although the waters have become terribly muddied with all the issues involved. This “he said/she said” is painting them both in an unfavorable light. I get a feeling that he was trying to manipulate his wife and kids as to be advantageous to him and she just did him one better. My feelings on the larger issue of child abduction and family law in Japan aside, I am tending to be much more sympathetic to the wife than I thought I was going to be when this story first broke. Although this case is perhaps raising some valuable light on the greater issues, I think it is a terrible one to put forth as a representative sample. Strictly speaking, the Asahi article quotes the police as saying that the mother said that assets were hidden from her by the father during post-divorce property division. That is not necessarily the same as complaining that she did not get more money. — I think it is. Charles, I don’t know about LA but at the Japanese consulate in Seattle the gentleman who greeted me the 2 times I visited might be a Japanese citizen (I didn’t ask) but he’s definitely not going to be mistaken for a “native” in terms of his appearance or his accent. And there is no shortage of Japanese ex-pats and their families in the area. That being said there was absolutely no security either time I visited. I think it’s kind of ironic to complain about being treated like a baby sitter when she probably gives the kids to a day care center or leaves them with their grandparents while she works. I know there’s no proof of this but given what single parents have to do to make a living, I think it’s likely. This is a big terrible, convoluted mess anyways. In Japanese embassy in Paris ,everybody are Japanese,no French guard at the entrance. Anyone knows if the new DPJ leadership is favorable to adhering to the child abduction treaty and/or modify the laws? If even a fraction of it actually happens, then we will have a lot to look forward to. Or don’t get divorced in the first place. When things were going badly here in the US, she matter-of-factly told me she of course was going to take the kids to Japan and bye-bye. I knew it’d be futile so here I am years later still married, but I still get to see the kids so that’s good, right? — Deterrence (or ersatz Mutual Assured Destruction) is one way to keep a marriage intact, I guess. In Japan, sole custody is awarded to one parent, and one parent only. This means that if there is a messy divorce, as it appears to be in this case, and the mother doesn’t want to allow the father to see his children, there is nothing that can be done. Peroid. Christopher was obviously well aware of this, and knew that if he wanted to have any access to his children, he needed to have his divorce here. Noriko, with full knowledge of Amy, came here specifically for the purpose of getting that divorce – she was not “tricked” into it. She came here, she had her day in court, she received a large financial settlement, she repeatedly assured the court that she had no intention of removing the father from his childrens’ lives, and then she went ahead and did just that. She took the children away, took the money, and now she happily spends her days walking the children to and from school, while he spends his being interrogated in jail. He sits there knowing that, as the Japanese courts always favor the Japanese parent in these cases, he will in all likelyhood never see his children again. — Wow. You should quit the day job and become a reporter. Or a sleuth. Thanks for this. Based on Japan’s stance for one parent custody and previous history in not following other countries custody laws, the US court should not allow custody to the Japanese parent at all. All those questions, “do you plan” are irrelevant because she can just say she changed her mind. Being married to a Japanese national in the US, I can vouch for the fact that my wife would do the exact same thing through deception etc to get those kids back to Japan no matter what if a divorce were to happen. This rings very true to me. I have been checking things out on another forum, and have been corrected. It is being incorrectly reported that he was in Japan starting from 2001-2008. It is incorrect. He was there at Kyuushuu University around 1995. Here is some additional information regarding Chris Savoie. Chris Savoie studied Immunology in graduate school at Kyushu University in Fukuoka Japan in the latter half of the 90’s. He obtained a PhD, although I’m not certain if it was at Kyushu Univerity. While he was a graduate student at Kyushu University he did some work as an English conversation teacher at a school on Fukuoka, which is where I became aquainted with him. I met Chris and his ex wife together in Fukuoka on one social occasion, so I can confidently attest that Chris and Noriko were living in Fukuoka Japan in the 90’s. Due to his prior stay in Fukuoka as a graduate student Chris would have been familiar with the location of the US Consulate in Fukuoka, which is in affluent residential area next to the most famous park in the city. There is a mini police station in this park (Ohori Park) right across the street from the US Consulate, a police guard in front of the US Consulate itself , and various police guards standing on the streets in the vicinty of the US Consulate. Chris would have know that getting through this police protection and into the Consulate itself would be extremely difficult. His heading to the Consulate indicates that he expected his ex wife Noriko to alert the police, and the location where he took his children from Noriko is easliy more than an hour by car distant from the Consulate. It would be interesting to find out whether or not Chris had consulted with the US Consulate in Fukuoka prior to taking his children from his ex wife in Yanagawa City. Chris is obviously an intelligent person and so I have to assume that he did. He must have been aware then that admission to the Conuslate is by appointment only, so his going there would indicate prior knowledge on the part of the authorities at the Consulate. On the other hand, the stress of losing his children may have led him to chance it without consulting the Consulate beforehand. The CNN banner says: Japanese authorities drop all charges and free from jail American accused of snatching back his children from ex-wife. *Funny, but in Los Angeles, if you go to the Japanese Embassy, you will not see any NJ working there. These people are paid by US tax dollars. Now the Japanese will argue that in Los Angeles, only Japanese need work there because the embassy is their for the Japanese national. Somebody tell my why the majority of the staff at the US embassy are Japanese? Who are we looking out for? I would say that a lot of the Japanese working at the LA consulate would be people hired locally. Certainly that’s what I found in NZ, and they did also have a couple of NZ nationals working there as well from what I could see. It’s simply a budgetary thing, sending people over from America to Japan means housing to be paid for, business class flights, international school fees to be paid for etc. etc. Obviously for some positions, they need a US national for the job, but where a US national is not required, it’s far cheaper to hire locally. Lance, I’m not entirely sure about why you linked the job listings. As far as I can see they all require both “fluent” Japanese and English (defined as JLPT Level 1 and Step Level Pre-1, which isn’t too demanding in either case,) but that seems like a reasonable requirement for an American embassy operating in Japan. In theory any qualified American would be just as eligible for the job. I think I see what you’re trying to get at, but what I would wonder is how many American applicants does the American embassy get for jobs? Sorry, wrong again. 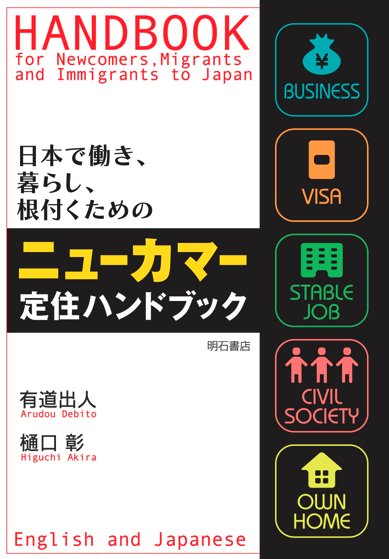 There are many Americans living in Japan that want to work at the embassy and apply but are turned down by the HRO because they dont meet the Japanese requiremts. These people qualify as local hires, as you put it. Of course it makes sense to hire somebody locally for many positions, that is a no brainer and off topic. Many local people are Americans. Im talking about the non diplomatic positions. Im sure if we checked the HRO is run by Japanese. Its not simply a budgetary thing. I agree with your point that in some instances Japanese language ability would be an advantage, however I also feel that this requirement is being used to screen out NJs from even applying. I knew a locally hired American down there and he told me he often wondered why the Japanese language requirement was even required for him. I called the HR manager once, and that person was not an American. Their explanation was that somebody had decided that Japanese fluency was required. There are many more details I could add about this circus but I wont do it here. Its not just a budgetary thing or a requirement.